...as well as reducing the number of tools needed by combining several functions into one instrument. Synopsis: "You can have an oscilloscope where you can visualise the waveform and you can have a bearing discharge analyser where you can count the number of discharges, but this instrument can do both things." 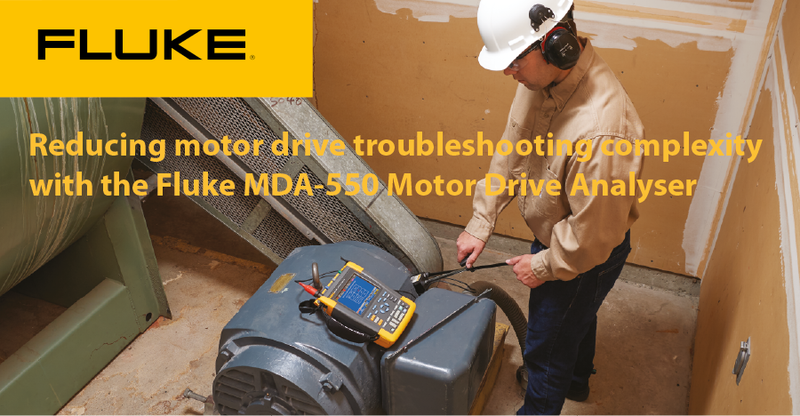 A global maker of commercial refrigeration and heating systems, hydraulics and motor drives, one of the largest industrial companies/employers in Denmark has recently partnered with Fluke to test the new Fluke MDA-550 Motor Drive Analyser.